Other than sharing my encounter with an amazing Rock Wren I have failed to blog about my 28 December visit to Bolsa Chica Ecological Reserve at all. As always, Bolsa Chica, a restored wetland complex in Huntington Beach, California, was amazing, both for the number and variety of birds, to say nothing of the number and variety of people enjoying an outing on the easy-to-navigate trails. From the moment I stepped out of the car to the moment I got back into it I was birding, and not just any run-of-the-mill birding. No, this was serious birding, with an awesome variety of species, and birders could do far worse than to visit Bolsa Chica. 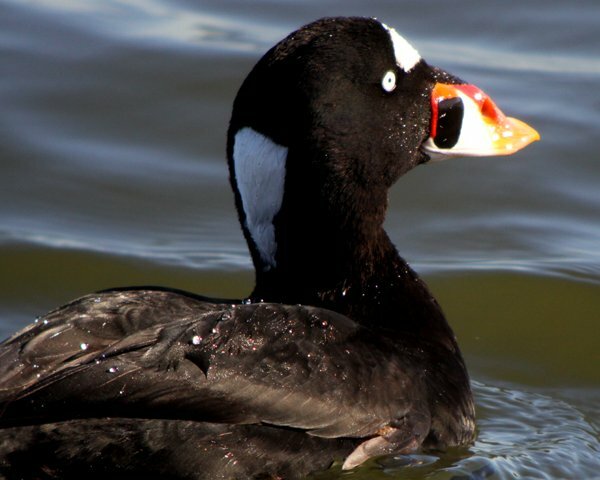 I parked at the parking lot by the boardwalk and made my way over the sturdy wooden structure, taking time to enjoy the Surf Scoters that hang out there all winter long. Getting up close looks at such a bizarre duck is a treat and knowing that they have hung out in the same spot winter after winter after winter is, in a way, relieving. With all the environmental destruction it is nice to know that at least one species can be reliably found in one spot. I turned to the north after crossing the boardwalk and came across one of Bolsa Chica’s wintering Reddish Egrets. 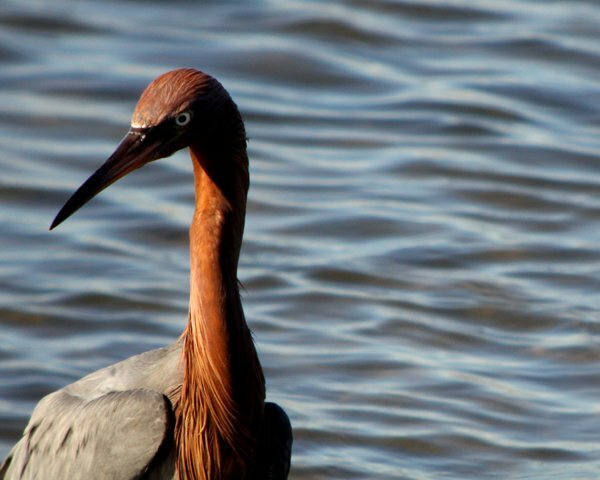 Back in 2005, when I made my first visit to Bolsa Chica as a beginning birder, I remember other birders being rather excited by the presence of a single wintering Reddish Egret. This year on the Christmas Bird Count they had five! 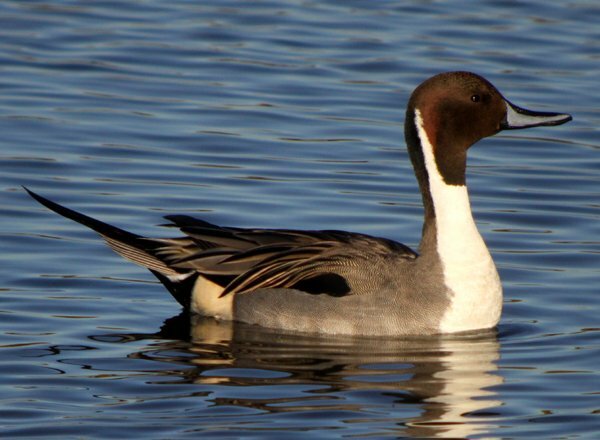 Good habitat will bring good birds. Am I the only one who thinks that Reddish Egrets look like something out of Jim Henson’s workshop? 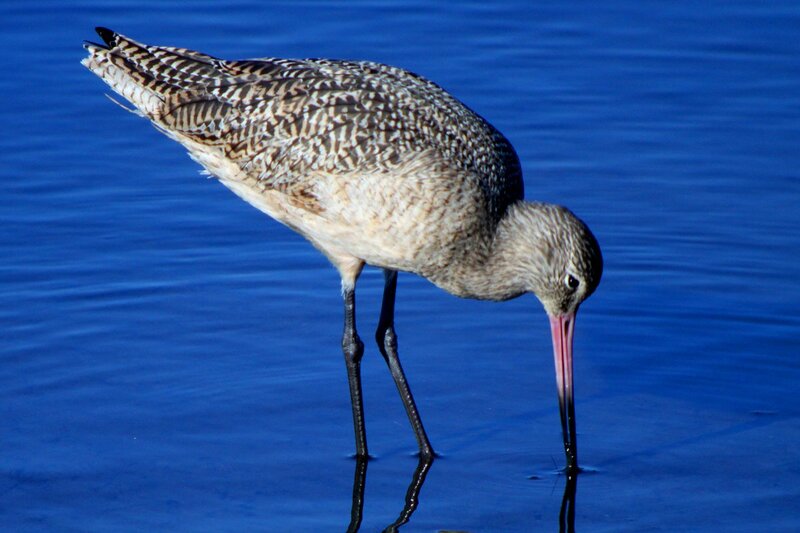 Shorebirds were, as always at Bolsa Chica, varied and confiding. 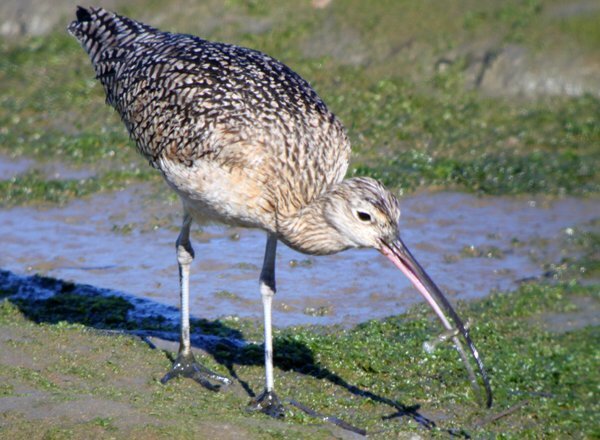 I spotted several species in addition to those shown below, but nothing beat watching Long-billed Curlews foraging for food and actually getting their bill entirely into the ground. I was also pleased to find a small group of gulls that was much closer than the vast majority of them, which were so distant that they were more theoretical gulls in that they appeared to be white, gull-shaped objects when one stared at them through the shimmering heat distortion. 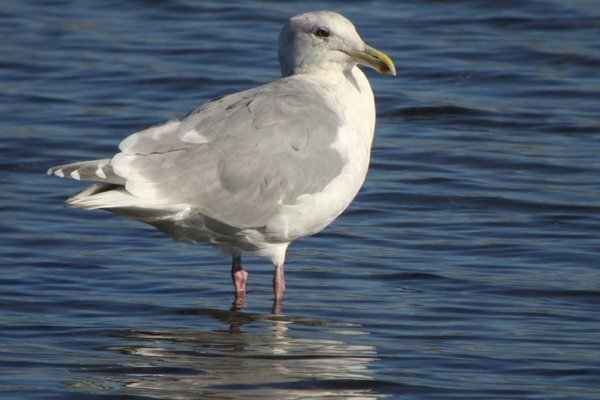 Anyway, the small group of gulls was nice because it contained a full adult Glaucous-winged Gull, a bird I rarely get to see and study. I took full advantage of the opportunity and it is well that I did because by tarrying with the gull I slowed myself down enough that I connected with the Rock Wren that I mentioned at the beginning of this post. No one else seemed interested in the gull, or the shorebirds for that matter, but when I stopped to scope ducks I invariably had someone stop to ask about what I was seeing. Letting a non-birder get a good scope view at some of the gorgeous drake puddle ducks is a good way to create birders, so I let people look. If you were a non-birder would stuff like this make you a birder? 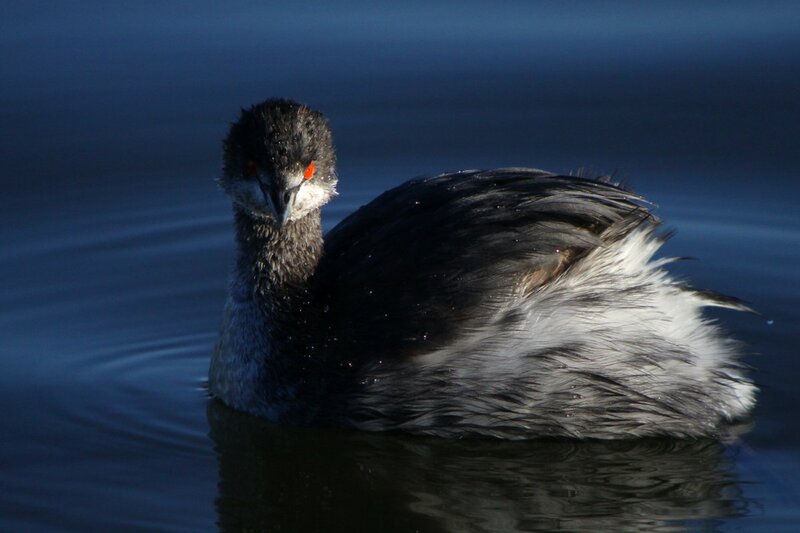 Though this is only a small portion of the species seen I think that the pictures here give a good indication of how great a spot Bolsa Chica is. If you happen to be in coastal Orange County, it is well worth a brief stop, a visit of a couple of hours, a half-day, or a full day. 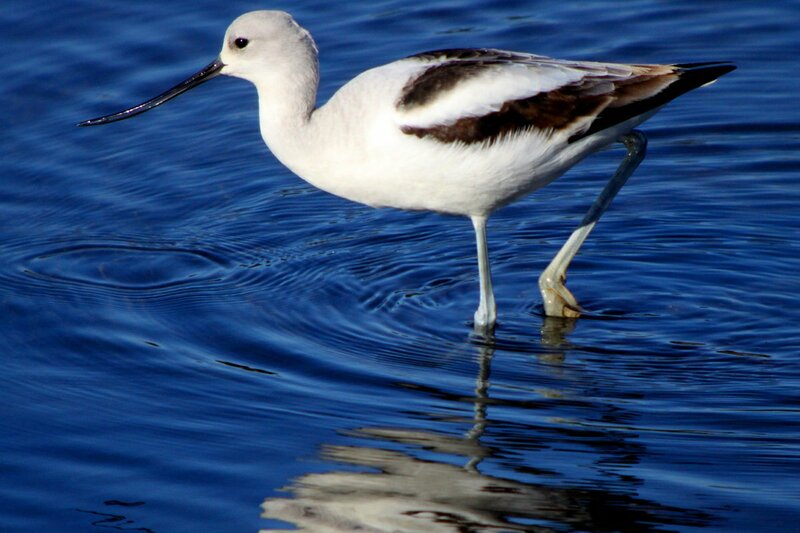 Any time of year has good birds and a visit to Bolsa Chica can easily be combined with visits to a couple of other local birding spots, like Huntington Central Park, Upper Newport Bay, or San Joaquin Wildlife Sanctuary. Visit Bolsa Chica and you certainly won’t regret it! Amen, true ‘dat, and various other agreement-emboldening affirmations. I only had an hour or so before I had to catch a flight, but this was one of the best stops I made in So. Cal last summer. I’m dying to go back and spend a full day here! Awesome shots, by the way. 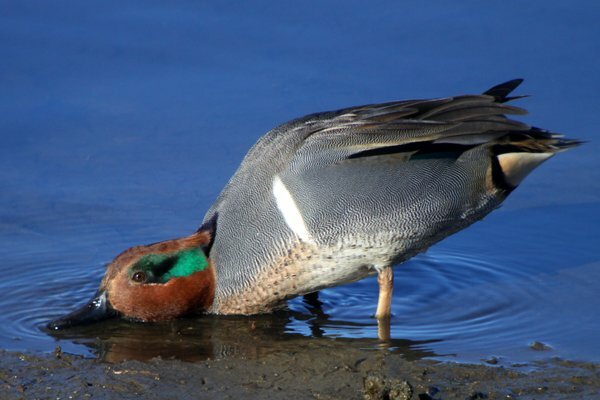 Dabbling ducks played an important role in the gradual process that turned me from someone who was interested in animals into a birder. I agree, great shots and great place! great post. sounds like you had a great time there. @Mike: Hope you get back there someday soon…and thanks! @Jochen and Dale: Maybe I did create a birder or two? Wouldn’t that be cool?